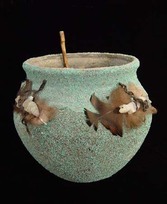 Zuni fetish jars are created for the benefit of Zuni fetish carvings. 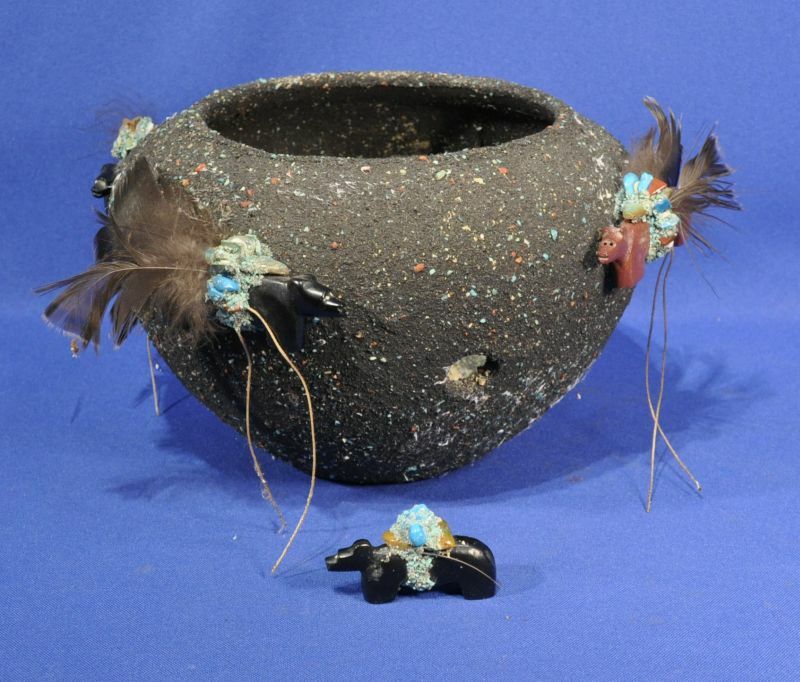 Zuni fetishes are offered cornmeal (sometimes mixed with ground turquoise) as means of nourishment. Zuni fetish carvers provide the cornmeal and turquoise in hopes of keeping their fetish carvings "alive" and happy. It is thought that the offerings increase the power of the fetish(es). The fetishes can also be "bathed" in the mixture of cornmeal and turquoise. Zuni fetish jars are there for this purpose. 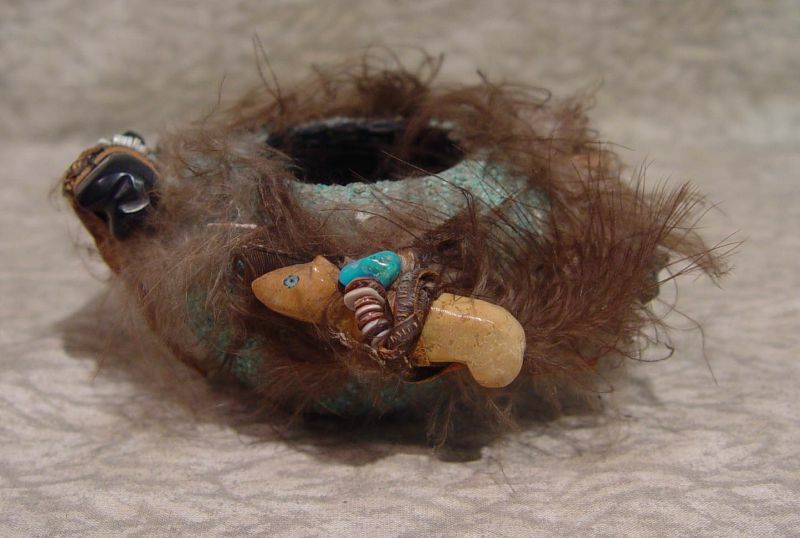 Made of coiled clay, and often covered in ground turquoise, feathers, and other fetish carvings, these jars are relatively difficult to find on the market, and usually come from private estate collections. 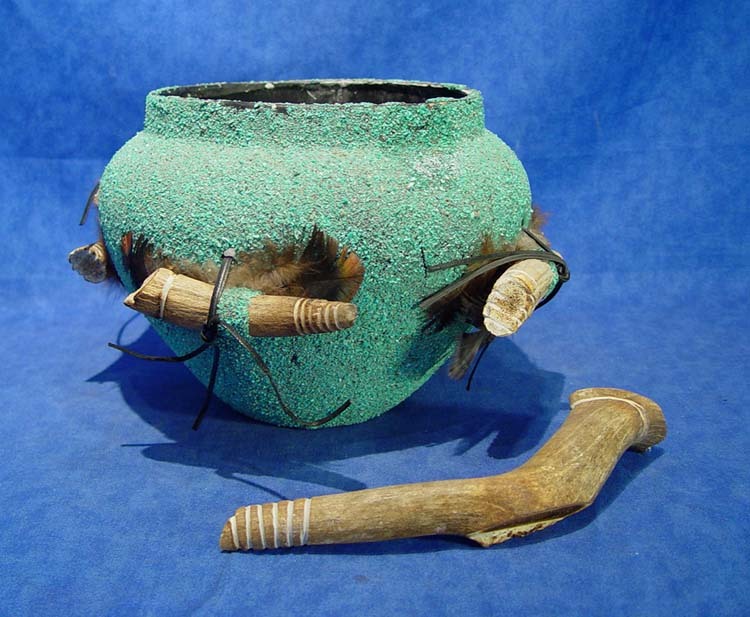 We regularly acquire Zuni fetish jars - please contact us for more information. 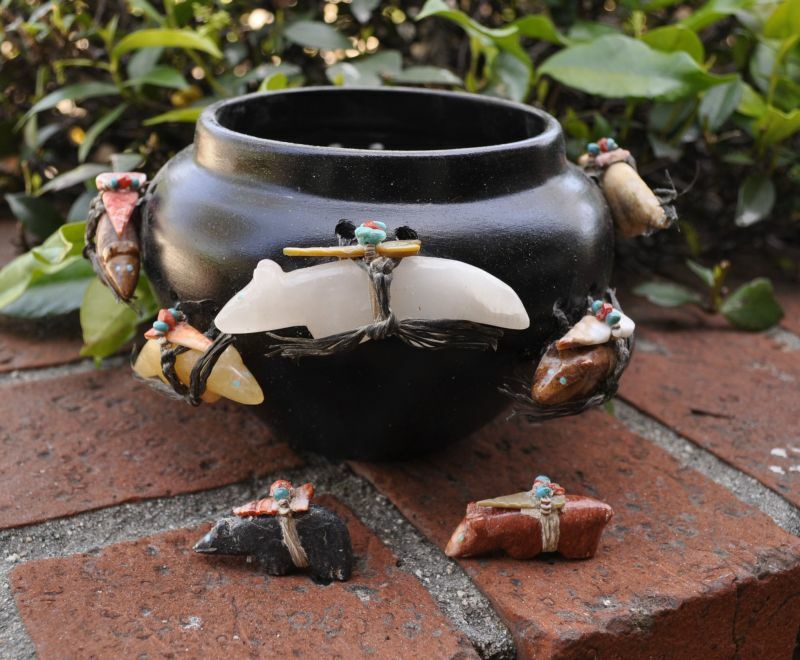 Available fetish jars can also be viewed and ordered via our Online Catalog here.